Just a question regarding updating to new versions. Is there anything in place to notify if there is an updated build of something downloaded from the store? At the moment there doesn’t seem to be. We really need a more automated way to check and install bric updates. I think this is a must as the store moves forward. Can´t find the post right now but I think there was something mentioned by @Norm that this is (or a least will be) possible. I would definetly spend 15 bugs for an upgraded “Image Overlay” where you can choose text and background colours. Yet ovious only “light or dark theme”. Just use the inspector on the overlay element, there are classes and yes you can control the text and button colors. So I have to open my wallet on Monday. Already did! 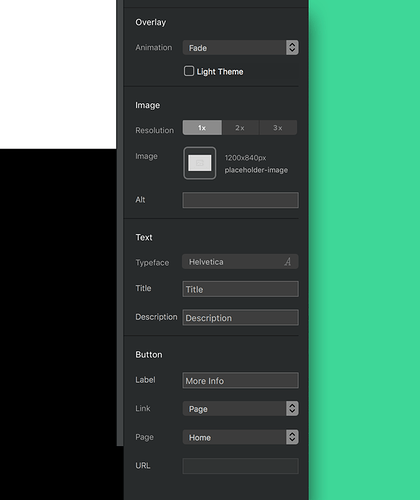 It’s a nice addition to Blocs. @norm, Congrats on the new milestone. After a quick glance at the store, is there a reason why the Blocs Store does not appear to be using page titles throughout? Seems like a missed opportunity for marketing and SEO both direct and organic. Also there remains no mention of the store or link to it on the main Blocs page (a big marketing and selling point), it’s not mentioned within the documentation yet either. A simple pinned and locked thread with a link here at the top of the forum may help drive traffic and assist users also. The random loading of items is nice to give equal chance of exposure to store items. But even now and definitely as the store grows with items, when a user enters a subpage and returns to a previous page, the scroll position is not saved and neither is the show more activity. Also presently the browser back button once entered into a tabbed subcategory and into a detailed view of an item, it takes you back to the main home page and not the category you were previously looking within. These attributes will not be optimal as the store grows with content. Another small thing, the Blocs Countdown Timer declares it uses Bootstrap 3, either thats a typo by its developer or it needs updated to BS4 for Blocs 3. When I started webing (as a total nut) I needed to learn SEO, Questining (a lot), and - of course how to host. Of course this lead me to some domain providers - and thanks god or who ever looks down to us - to a great domain provider down under (close to Australia). Long story short - 2 years ago I purchased a Domain wich is related to “the work with blocs”. And this is the first time I open this subject as I think your idea on the snippets is super great and still a gap if (what you have perfectly done with your “help sites”) is possible to continue. This idea will be of course sound like a competition to the “blocs store”. I am super convinced you touched the gap precicley and I am first time open to discuss ideas as I think our work and talk together might be an enrichment to Papa Blocs Community. Cause this is my aim besides working on my one page. Helping the community with honest hints and helping @Norm to grow up his baby. Andiamo avanti insieme con un idea di blocs? The store will be mentioned on all the key areas Blocs site, knowledge base etc at some point next week. As for tweaks on usability that’s of course on going. Thank you @pixelwork if I know how to do Brics, I transform my snippets in Brics and offer them to the community, but now, I start to understand the reluctance in explaining how to make Brics. So I will keep trying to help and I am changing my help sites, as now there is no point to have there the Brics. I’m trying to create a webpage that will help bloc users, with snippets codes, along I’m helping users with your/mine problems. Sometimes code is more flexible, than the Bric itself. Hahaha, I love the way you respond. Yes, sometimes Code is more flexible than everything, that´s what you always show in your quick and “to the point” solutions. Hope we can count on you also in near future so please stay healthy. Just thought it was fair talking about a site called “blocs.wxyz” as of all your envolvement here recently and all your skills need to be rewarded somehow. Hope we can count on you and please stay healthy. Thank you one more time. I will be here, “unless someone kick me out of here”. Where in PT is home? first Slums in Europe there. Currently no official will kick you out - or did I miss something in recent Portuguese politics (uuups no jump back to the 80s please). Misunderstood, you were talking being kicked out from the forum - never ever! Appreciate this contact a lot! Transforming Slums in rural tourism attractions does sound a bit wired. But there might be reasons beyond my understanding. Thanks and YES, lets go back and think about the site. I own the domain “blocs.xyz” since two years, having you in mind it could become a great supporting site for the community. Blocs Rocks is super and there was a great “pre design gift” from a fan to @Norm 2 years ago. Great stuff and always respecting the copyright! Thanks for the time and thoughts on ??? projects. Hmm, I don’t seem to be able to see how to customize these, would you mind elaborating. Also I would really like to know how to get rid of the button if needed. Norm thanks for the blocs store. It will be a great platform for everyone. 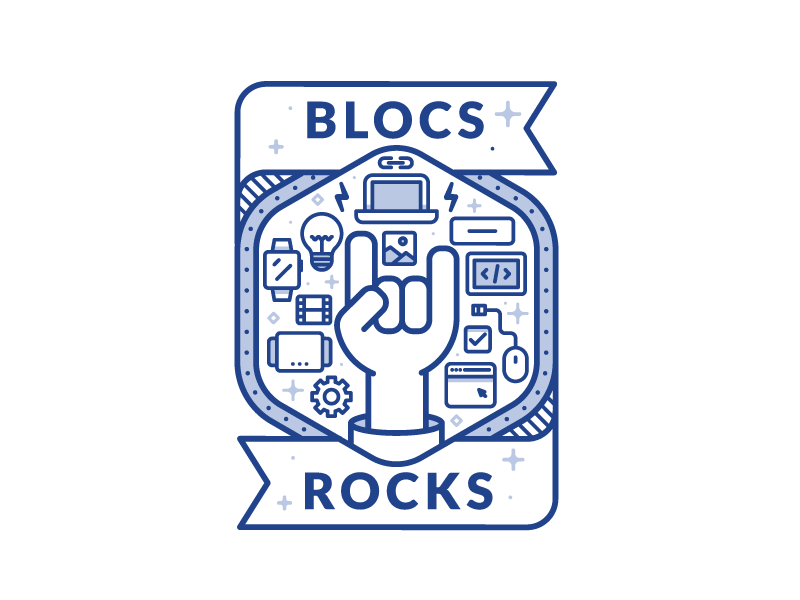 Thanks also to the blocs community for continuing to grow and producing great things. Just realized most of the products do not come with videos to showcase how it works, well detailed and informative images of the products. It will be great for developers to have detailed presentation of their products.